Bellevue Literary Press is the first and only nonprofit press publishing at the arts-sciences nexus. Since 2007, we have been publishing prize-winning books that address the “big questions” of the human condition while promoting literature and the humanities to the science and medical communities and science literacy to a general readership. Originally housed in historic Bellevue Hospital, BLP was established as a project of the New York University School of Medicine. The press departed NYU in the fall of 2018 to become a fully independent, nonprofit publisher. BLP depends on contributions from individuals and foundations for its operations. Our books are distributed nationwide to bookstores and other outlets, including wholesalers, libraries, and specialty markets, by Consortium Book Sales and Distribution. Read about Bellevue Literary Press in Publishers Weekly and discover more about our history at NPR and in the New York Times, New York magazine, and Publishers Weekly. Bellevue Literary Press strives to publish books that enrich and engage, and also to provide a platform for lively discussion and debate. By collaborating with academic and community organizations we are able to extend the reader’s experience beyond the page and inspire lively discourse in a variety of private and public venues including classrooms, clinics, libraries, scientific studies conferences, academic panels, and public forums. Read more about the current activities in which BLP is involved. 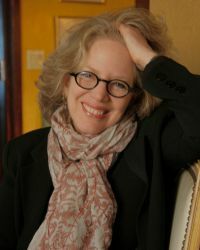 Publisher and Editorial Director Erika Goldman has been an editor of fiction and nonfiction at several major publishing houses in New York City, including St. Martin’s Press, Charles Scribner’s Sons, Simon & Schuster, and W. H. Freeman. A recipient of fellowships from Rendez-vous à Montreal-Québec Edition, the IV Programme in conjunction with IFOA Toronto, the Frankfurt Book Fair/German Book Office, and the Jerusalem International Book Fair, she has lectured and taught at the Yale Writers’ Conference, the Wesleyan Writers Conference, the New Hampshire Institute of Art, and New York University’s Center for Publishing. Associate Editor Elana Rosenthal received a BA from Wesleyan University, where she continued as a fellow in the Writing Programs after graduating. 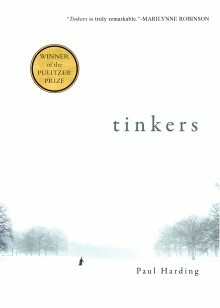 In addition to editorial work at magazines, she has interned and assisted at Writers House, a literary agency. Publicity and Marketing Consultant Molly Mikolowski previously worked for Coffee House Press for ten years, where she acted as their marketing, publicity and sales director. The daughter of letterpress publishers, she has also worked as a bookseller and now runs A Literary Light, which helps independent publishers finds the broadest possible audience for their books. Production & Design Consultant Joe Gannon has over forty years of experience in all aspects of book writing, editing, design, production, and distribution. He is the owner of a publishing services company, Mulberry Tree Press, Inc., and teaches at Hofstra University. 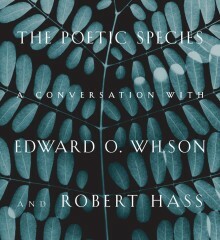 He is the author of thirteen nonfiction titles. 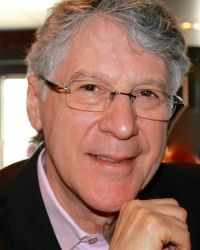 Jerome Lowenstein, M.D., President and Founding Publisher, is the Nonfiction Editor for Bellevue Literary Review. He has been Professor of Medicine at New York University School of Medicine since 1977 and a practicing physician for over four decades. In 1979 he initiated the Program for Humanistic Aspects of Medical Education at New York University School of Medicine, which has become the model for many other similar programs at medical schools across the country. He is the author of Henderson’s Equation, The Midnight Meal and Other Essays about Doctors, Patients, and Medicine, and Acid and Basics: A Guide to Understanding Acid-Base Physiology. He is the recipient of the 2008-2009 NYU Distinguished Teaching Award. 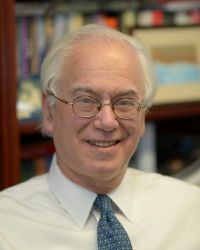 Martin J. Blaser, MD, is the Muriel and George Singer Professor of Medicine, Professor of Microbiology, and Director of the Human Microbiome Program at the NYU School of Medicine. He served as Chair of the Department of Medicine at NYU from 2000-2012. A physician and microbiologist, Dr. Blaser is interested in understanding the relationships we have with our persistently colonizing bacteria. His work over the past 30 years focused on human pathogens, including Campylobacter species and Helicobacter pylori, which also are model systems for understanding interactions of residential bacteria with their human hosts. Over the last decade, he has been actively studying the relationship of the human microbiome with health and with such important diseases as asthma, obesity, diabetes, and allergies. Over the course of his career, Dr. Blaser has served as the advisor for a large number of students, post-doctoral fellows, and junior faculty, and he has been actively involved in national scientific and professional organizations. 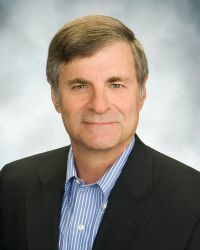 He served as President of the Infectious Diseases Society of America, Chair of the Board of Scientific Counselors of the National Cancer Institute, Chair of the Advisory Board for Clinical Research of the National Institutes of Health, and serves on the Scientific Advisory Board of the Doris Duke Charitable Foundation. He was elected to the Institute of Medicine and the American Academy for Arts and Sciences. He holds 25 U.S. patents relating to his research, and has authored over 530 original articles. Most recently, he wrote Missing Microbes, a book targeted to general audiences. Lawrence H. Budish recently retired as a partner in Proskauer Rose LLP, a major international law firm headquartered in New York City. Larry specialized in private equity and mergers and acquisitions, with a concentration in transactions in the media and business information industries. 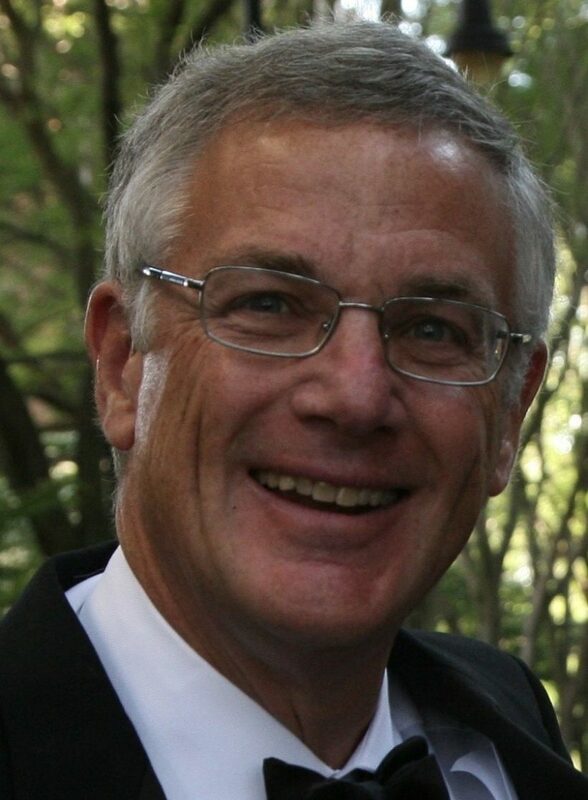 In addition to his legal experience, Larry has extensive experience with financial matters and fundraising for not-for-profit entities as a board member, past president, and longtime fundraising chairman for his synagogue. Thomas Campbell Jackson is a private investor and a producer of works in film, theater, and print. He is a venture partner at Easton Capital Investment Group and has over two decades of experience in health affairs, including serving as director of the City of New York’s Health Benefits Program, which provides coverage for over one million city employees, retirees, and dependents. He has advised municipalities, companies, and nonprofits on many aspects of health and insurance policy. Mr. Jackson sits on the boards of Cell Machines, Imaginal Disc, and other tech startups. Mr. Jackson also serves on the Board of Overseers of Columbia University’s Mailman School of Public Health and the boards of the Columbia Alumni Association, the Galen Institute, Imagine Science Films, and NautilusThink. He has previously served on the boards of the New York Academy of Sciences, the Metanexus Institute, Music for Life International, and other arts and sciences organizations. Gloria Jacobs is a consultant on arts, literature, and the women’s movement. From 2006 to 2013, she was Executive Director of the Feminist Press at CUNY and from 1996 to 2002 she was the Executive Editor of Ms. magazine. Her articles have appeared in The New York Times, The Daily News, The Guardian (UK), Working Mother, New York Woman, and Mother Jones, among others. She has also served as a consultant to the United Nations Women’s Development Fund where she produced the groundbreaking report, Women, War, Peace, which sought to tell the story of the impact of war on women through personal narrative. She is a board member of Girls Write Now, the writing and mentoring program for teen girls, as well as on Bellevue’s advisory board and is a past board member and chair of Women’s eNews. Jerome Lowenstein, MD, President and Founding Publisher, is the Nonfiction Editor for Bellevue Literary Review. He has been Professor of Medicine at New York University School of Medicine since 1977 and a practicing physician for over four decades. In 1979 he initiated the Program for Humanistic Aspects of Medical Education at New York University School of Medicine, which has become the model for many other similar programs at medical schools across the country. He is the author of Zichronot/Memories, Henderson’s Equation, The Midnight Meal and Other Essays about Doctors, Patients, and Medicine, and Acid and Basics: A Guide to Understanding Acid-Base Physiology. 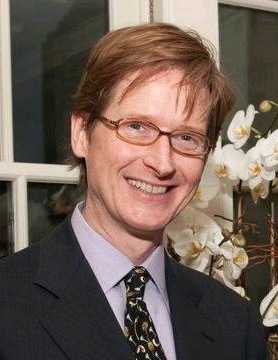 Bruce Nichols is a Senior Vice President and Publisher at Houghton Mifflin Harcourt, where he has overseen the general-interest publishing program since joining the company in 2009. He has over thirty years of experience in trade publishing, having worked at Simon & Schuster and HarperCollins before joining HMH. 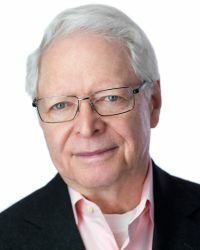 He has edited a number of bestselling and prize-winning authors, including Cynthia Ozick, Francis Collins, James Risen, and fellow board member David Oshinsky, among many others. He received a B.A. from Yale University in music, but quickly abandoned a music career for the world of books. He lives in Westchester County with his wife, Sarah Cutler, V.M.D., and their three children. David Oshinsky, PhD, is the director of the Division of Medical Humanities at NYU School of Medicine and a professor in the NYU Department of History. Previously, Dr. Oshinsky was at the University of Texas at Austin, where he received the university’s Raymond Dickson Centennial Teaching Award. He graduated from Cornell University and obtained his PhD from Brandeis University. An accomplished writer and American historian, his books include A Conspiracy So Immense: The World of Joe McCarthy, which won the Hardeman Prize for the best book about the U.S. Congress, and Worse Than Slavery, which won the Robert F. Kennedy Prize for distinguished contribution to human rights. His latest book, Polio: An American Story, won both the Pulitzer Prize in History and the Hoover Presidential Book Award. In 2009, PBS aired a documentary based upon this work, “The Polio Crusade,” and he received the Dean’s Medal from the Bloomberg-Johns Hopkins School of Public Health for his distinguished contributions to the field. His articles and reviews appear regularly in the New York Times and other national publications. 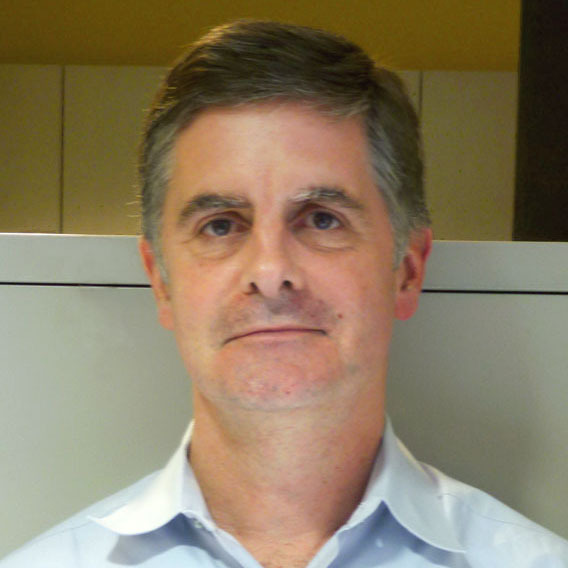 Daniel Ray, as Vice President of Management Science Associates (a multinational market research company), worked for nearly three decades with major corporations including American Express, HBO and Kraft General Foods. His focus was on advertising, pricing and new product development where he created analytical methodologies to solve challenging marketing issues. As a respected member of his field, he was an invited speaker at national industry conferences and seminars on issues relating to the analysis of market research data. After passing the Baccalaureat in France, Daniel moved to England. (His first job was at Foyles, then the largest bookstore in the world.) Once he became fluent in English he was accepted with full scholarship at the University of Wales where he received Bachelor and Master of Science degrees in Electrical Engineering. Ironically, before moving to the United States, this French son of Jewish refugees was awarded the Coventry Cathedral Fellowship, spending a year in Berlin as an exchange engineer in the name of reconciliation between England and Germany. In 2004, Daniel co-founded The Raytones—a jazz, blues, early rock ’n’ roll band—where he is the pianist. 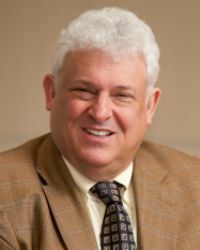 Jan T. Vilcek, MD, PhD, Professor in the Department of Microbiology at NYU Langone Medical Center, earned his medical degrees in Bratislava, Slovakia (then Czechoslovakia). He is among the earliest researchers of interferon, and of another regulatory protein called tumor necrosis factor (TNF). Dr. Vilcek’s work was instrumental in the development of the anti-inflammatory drug infliximab (Remicade®), the first member of a new class of therapeutics widely used for the treatment of Crohn’s disease, ulcerative colitis, rheumatoid arthritis, psoriasis and other chronic inflammatory disorders. Dr. Vilcek has published more than 350 papers in scholarly journals and he is co-inventor of 38 US patents. In 2000 Dr. Vilcek and his wife established The Vilcek Foundation, whose main mission is to honor outstanding contributions of immigrants to the sciences and arts in the United States. 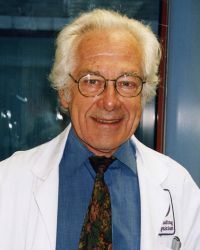 He received NYU’s Albert Gallatin Medal, is an honorary alumnus of NYU School of Medicine and Fellow of the American Association for the Advancement of Science. He received the J. E. Purkynie Honorary Medal from the Czech Academy of Sciences, and the Outstanding American by Choice Award from the U.S. Citizenship and Immigration Services. He is an honorary member of the Learned Society of the Czech Republic, recipient of the Gold Medal of Charles University in Prague, and recipient of honorary degrees from the Comenius University in Bratislava, the CUNY Graduate Center, and NYU. In 2013, he received the National Medal of Technology and Innovation from President Barack Obama. His memoir Love and Science was published by Seven Stories Press (2016). Mieko Willoughby is President and CEO of Headlands Asset Management LLC, a private equity investment firm located in San Rafael, California with executive headquarters in Manhattan. Prior to co-founding Headlands, Ms. Willoughby was Senior Managing Director, Bear, Stearns & Co., Fixed Income Sales & Trading, 1992-2008. Ms. Willoughby is one of the original members of the Bellevue Literary Press Advisory Board.